My office cafeteria was serving this monstrosity with their open face turkey sandwiches. 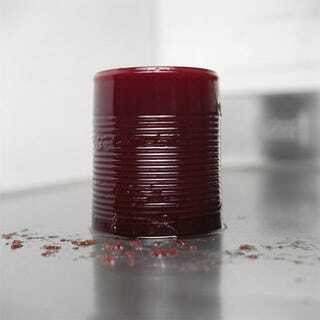 It makes me angry just looking at it, as it is not cranberry sauce but gelatinous goo the color of blood. Real cranberry sauce is hella easy to make, why do they still sell this?! What foods make you irrationally angry?